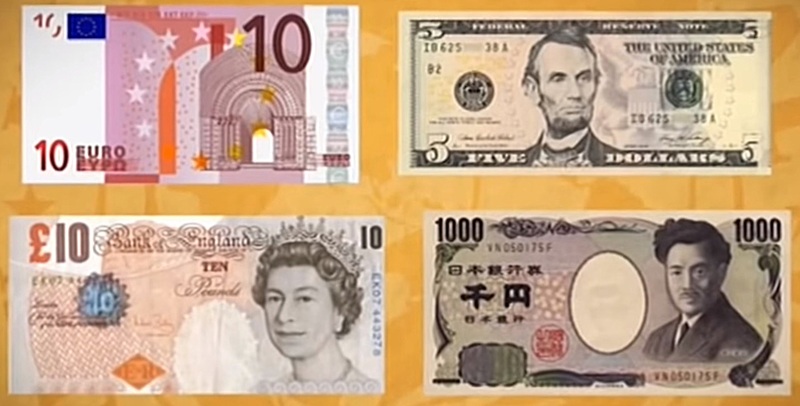 Currently just the US dollar, the euro, the yen and the pound are in the group. WASHINGTON, Nov. 30 (Xinhua) — The International Monetary Fund (IMF)’s executive board on Monday approved the inclusion of China’s currency renminbi (RMB) in its Special Drawing Rights (SDR) basket as an international reserve currency. 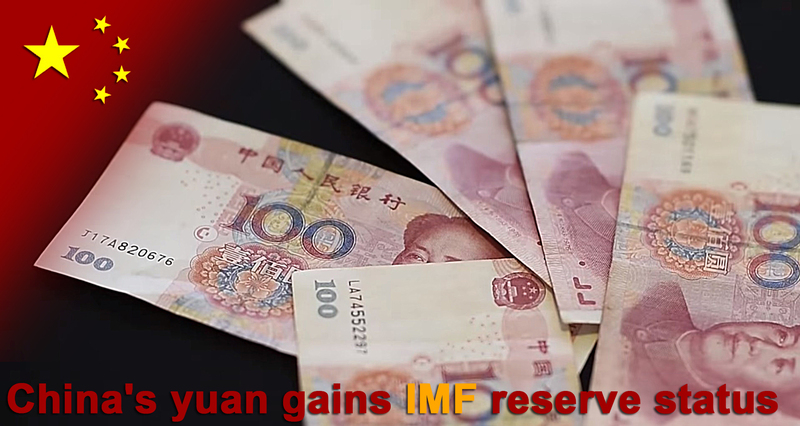 The IMF board, which represented the fund’s 188 member countries, decided that the RMB “met all existing criteria,” the IMF said in a statement after completing the regular five-yearly review of the SDR basket here. Effective from Oct. 1, 2016, the RMB will be included in the SDR basket as a fifth currency, along with the U.S. dollar, the euro, the Japanese yen and the British pound, it said. “It is also a recognition of the progress that the Chinese authorities have made in the past years in reforming China’s monetary and financial systems,” she said. “The continuation and deepening of these efforts will bring about a more robust international monetary and financial system, which in turn will support the growth and stability of China and the global economy,” she added. The RMB will have a weighting of 10.92 percent in the new SDR basket, while the respective weighting of other currencies in the basket are 41.73 percent for the U.S. dollar, 30.93 percent for euro, 8.33 percent for the Japanese yen and 8.09 percent for the British pound, according to the IMF. “Launching the new SDR basket on October 1, 2016 will provide sufficient lead time for the Fund, its members and other SDR users to adjust to these changes,” the Washington-based international lender said. The SDR is an international reserve asset created by the IMF in 1969 to supplement its member countries’ official reserves. It can be exchanged among governments for freely usable currencies in times of need. The IMF reviews the currencies in the SDR basket every five years, and whether to add the RMB to the basket is a major issue for this year’s assessment. To meet the IMF’s criteria, Chinese authorities have undertaken a series of reforms in recent months, such as improving its foreign exchange rate formation system, opening up its interbank bond and forex markets, and improving data transparency by subscribing to the IMF’s Special Data Dissemination Standard (SDDS). Meg Lundsager, a former U.S. Executive Director at the IMF, told Xinhua that what is important is it shows the evolution of the system is possible, reflecting what China has undertaken over the past years. “China is clearly on the path of reform. It wants to show yuan is widely traded and freely usable by the IMF definition,” said Lundsager, now a senior researcher with the Wilson Center, a Washington-based think tank. At the G20 summit in Antalya of Turkey, Chinese President Xi Jinping said the inclusion of the yuan will help increase the representation and attraction of the SDR, improve the international monetary system, and safeguard global financial stability. Eswar Prasad, the former head of the IMF’s China Division, said IMF wants to avoid another knock on its legitimacy, already tainted by the lack of progress on giving emerging markets their rightful voting shares. “Excluding the yuan from the SDR could crystallize the concerns of policy makers in emerging markets that the IMF remains an institution run by and for the benefit of advanced economies,” he noted. Being one of global reserve currencies will prompt central banks to increase their holdings of yuan in the reserve currency portfolio. Private sectors will also be encouraged to gradually buy more yuan-denominated assets. However, the global reserve currency status will not automatically turn yuan into a major global reserve currency which is a choice of the market. “So it’s very important to keep China on path of reform. It’s tough that everything you do is closely scrutinized by the market. But China can’t backtrack in a major way. Inclusion will re-enforce the trend,” Lundsager said. In an article published in the People’s Daily last week, Chinese central bank governor Zhou Xiaochuan committed himself to making the RMB fully convertible and freely usable within five years. By then, Zhou said he expected more than a third of the world’s international trade to be conducted through the RMB.